It seems the media, cable TV in particular, were accomplices in Trump’s not only winning the Republican nomination but the U.S. Presidency. Masterful manipulation of the media. Limiting losses among minority voters. Securing large white voter margins in America’s blue-collar cities and smaller communities. Securing 80% (Evangelicals make up 25% of American voters) of the white evangelical vote. Donald Trump has been called many things, among them entertainer and fascist. 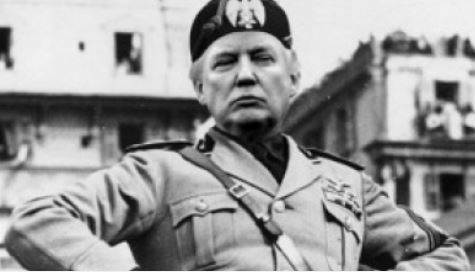 There is no doubt Trump’s Presidential run was highly entertaining and that Trump has a knack for the theatrical but is ‘the Donald’ a fascist? Much of what Trump did and said during his 2016 election campaign is drawn straight out of the fascism 101 handbook. For example, a constant use of themes, from stereotyping different ethnic groups, ie sweeping mis-characterizations of Mexicans, to exploiting a fear of foreigners ie. cancerous Trojan Horse Muslim immigrants. Other themes? Us versus them, the national decline, make the country great again, the isolationist slogan ‘America First’ and aggressive foreign policies. Fascism easily lends itself to the theatrical - Trumps campaign was highly theatrical and the message, build walls, deport illegal’s, Muslims bad etc was more than enough for many to drop a fascist label on Trump. And it wasn’t just with displaced, less-educated white working-class males. Other groups had a bigger impact on the election outcome. Trump convinced 61 million Americans - 53% of white women, 63% of white male college graduates, 47% of white Americans between the ages of 18 and 29, almost 1 of 3 Hispanics and 48% of white college graduates - to vote for him to be the next U.S. President. Among college-educated whites, only 39 percent of men and 51 percent of women voted for Clinton. The average Trump voter is well educated, working and not living in a rural area, many are middle-class well off suburban whites – rural voters only make up 17% of the electorate. And a lot of Trump voters are not racist, having voted for Obama at least once, quite a few of them twice – of the 700 counties that twice voted for Obama, 1/3 flipped to Trump. Donald’s election campaign was able to tap into a lot of white people’s fear of difference and social change. Many whites feel betrayed by large multinational corporations and their lackeys, the professional politicians running things – they know globalization, immigration, multiculturism and mechanization have not been good to them. Among white voters, 57 percent said Trump was not honest or trustworthy but 70 percent said the same of professional politician Hilary Clinton. Trump’s base GOP supporters, the racist, fascist radical right wingers weren’t alone in their beliefs. Members of all the right wing parties, the conservatives, the Christian democrats, classical liberals and nationalists all feel the same sense of betrayal. It wasn’t if, it was when an electoral backlash would happen. Q - But is all this Fascism? “Arguing that being part of the European Union is not in the British interest, that NATO has outlived its usefulness, that protectionist policies or anti-immigration policies are desirable is not fascist. These ideas have no connection to fascism whatsoever. They are far more closely linked to traditional liberal democracy. They represent the reassertion of the foundation of liberal democracy, which is the self-governing nation-state. It is the foundation of the United Nations, whose members are nation-states, and where the right to national self-determination is fundamental. Nationalists believe in national pride, fascists believe in national superiority, a huge difference in degrees of radicalism - Aryan master race versus pride of country and self. Nationalist’s believe in the concept of self-determination, each state has the right to exist and to decide how it is governed. Hitler and Mussolini thought different. Fascism emphasizes the need for an unquestioned all-powerful leader and complete opposition to democracy. So is ‘the Donald’ a Nationalist? “For 350 years, Western peoples have lived in a world in which national independence and self-determination were seen as foundational principles. Indeed, these things were held to be among the most precious human possessions, and the basis of all of our freedoms. Since World War II, however, these intuitions have been gradually attenuated and finally even discredited, especially among academics and intellectuals, media opinion-makers, and business and political elites. Today, many in the West have come to regard an intense personal loyalty to the national state and its right to chart an independent course as something not only unnecessary but morally suspect. They no longer see national loyalties and traditions as necessarily providing a sound basis for determining the laws we live by, for regulating the economy or making decisions about defense and security, for establishing public norms concerning religion or education, or for deciding who gets to live in what part of the world. Nationalism is on the march. Data shows that black and minority voters supporters Ms Clinton, while whites flocked to Trump. The biggest issue for Trump voters was immigration - 84% of Trump voters said the government should deport undocumented migrants rather than give them the chance to apply for legal status. Religious nationalism also played it’s part. Donald’s trump card, his consistent pushing of an anti-immigration platform, managed to bring the old right, the religious right, the new right and the alt-right together. Is Nationalism on your radar screen?